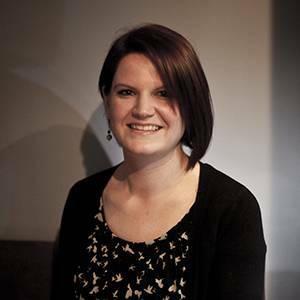 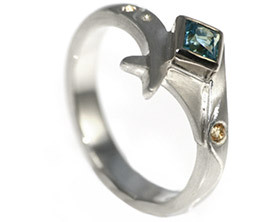 Robert came to the Cambridge studio to commission a surprise engagement ring for Jade. 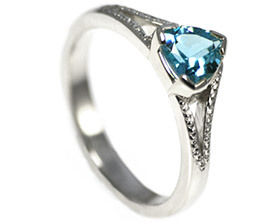 After talking through the styles and colours that Jade likes and looking through various gemstone colours and shapes Robert selected this stunning pear cut 7 x 5mm 0.84ct darker London blue topaz. 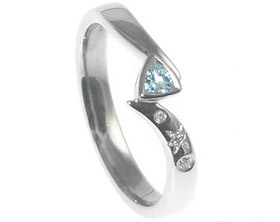 This was then claw set into the handmade 9ct white gold plate of the engagement ring with twelve pave set briliant cut 1mm HSI diamonds set around it. 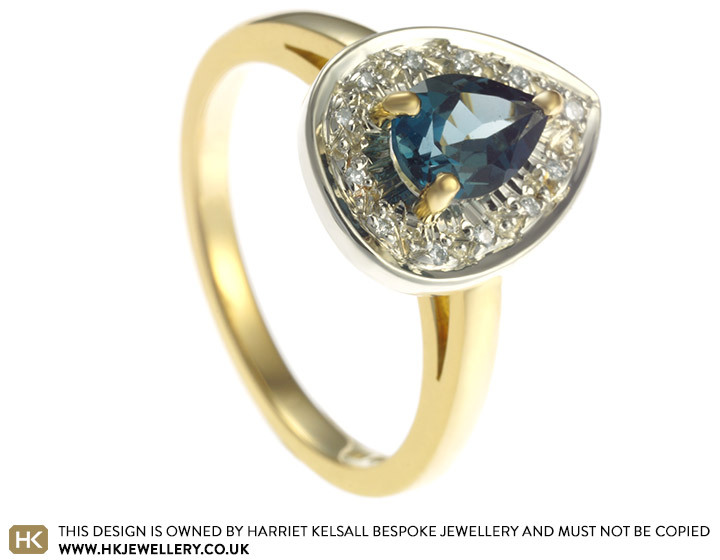 The D-shaped band is handmade in 18ct yellow gold and has a highly polished finish to complete the stunning sparkle of this ring. 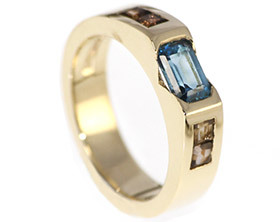 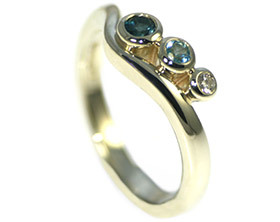 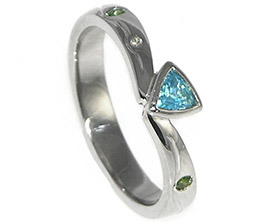 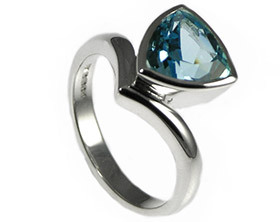 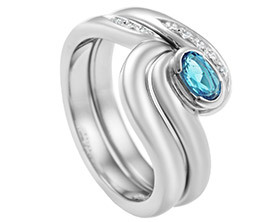 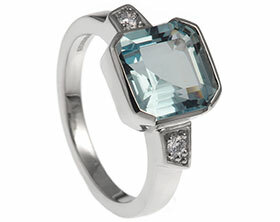 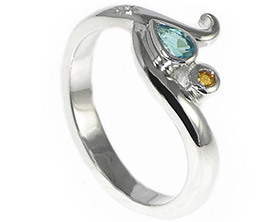 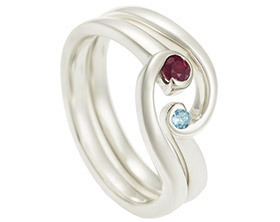 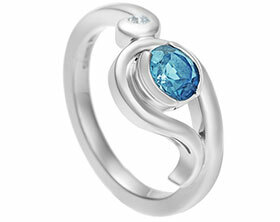 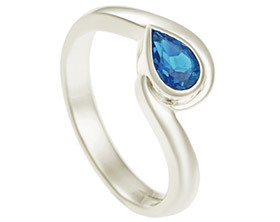 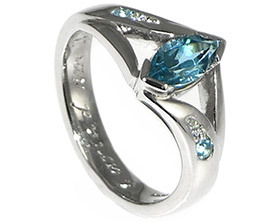 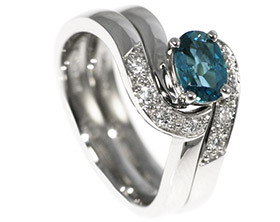 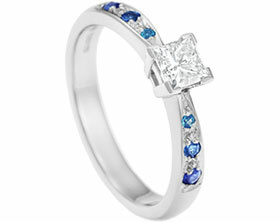 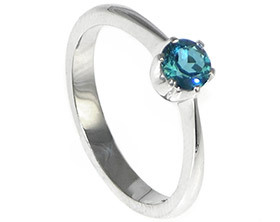 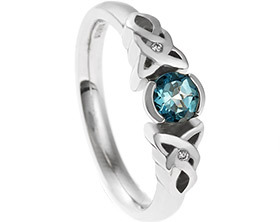 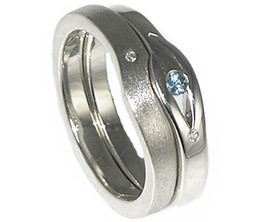 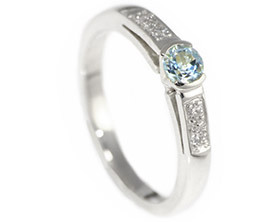 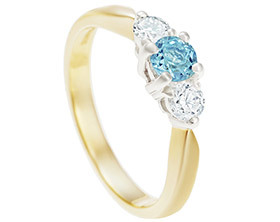 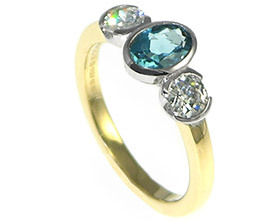 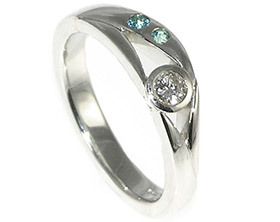 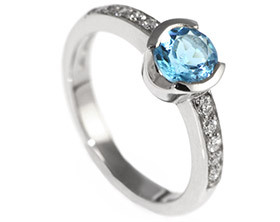 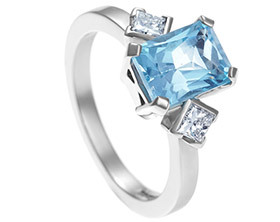 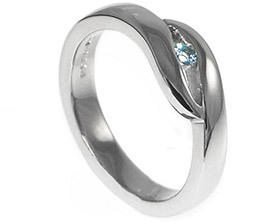 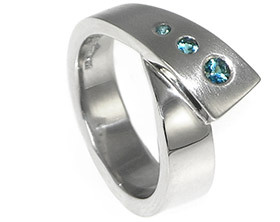 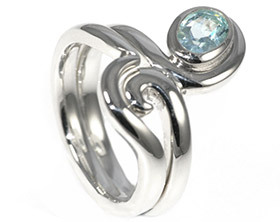 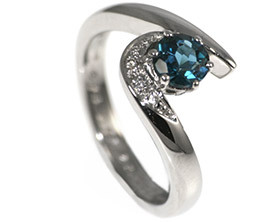 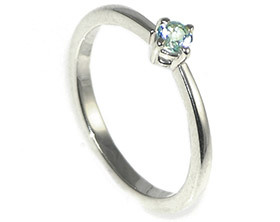 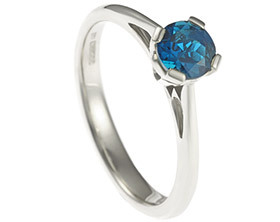 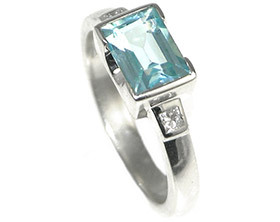 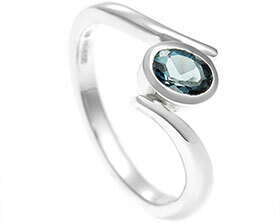 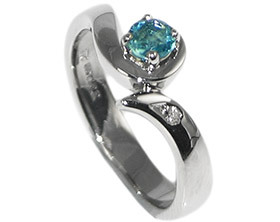 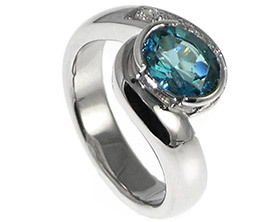 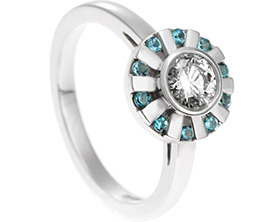 A modern style engageemt ring with a trillant cut Topaz. 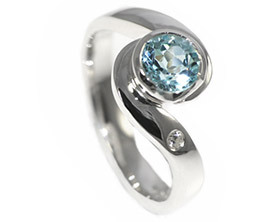 Bespoke platinum, diamond and topaz engagement ring. 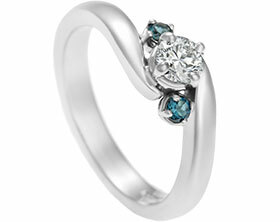 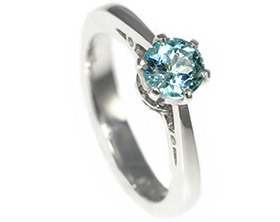 9ct white gold diamond and blue topaz engagement ring. 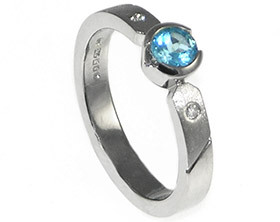 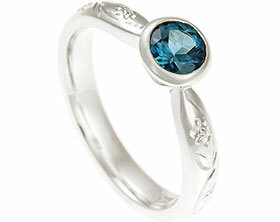 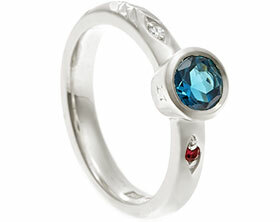 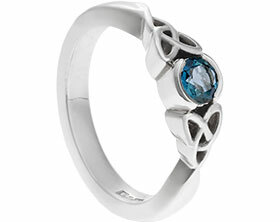 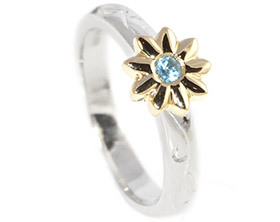 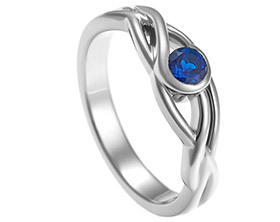 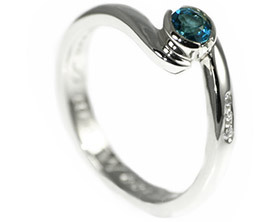 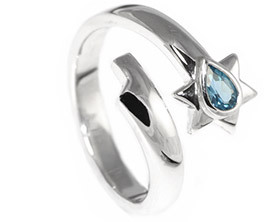 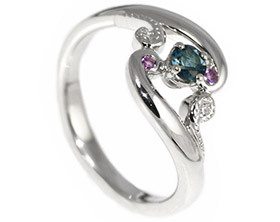 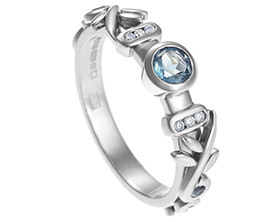 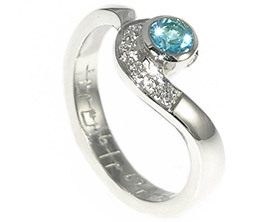 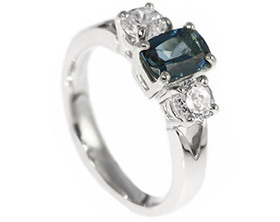 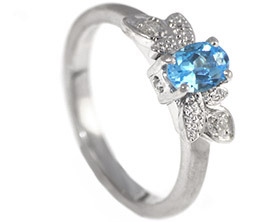 Bespoke Sterling silver rose inspired london blue topaz engagement ring. 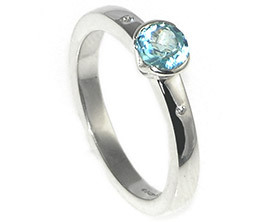 Bespoke platinum 1.09cts 6mm london blue topaz engagement ring. 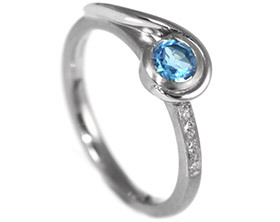 White gold and blue topaz engagement ring inspired by an eye.